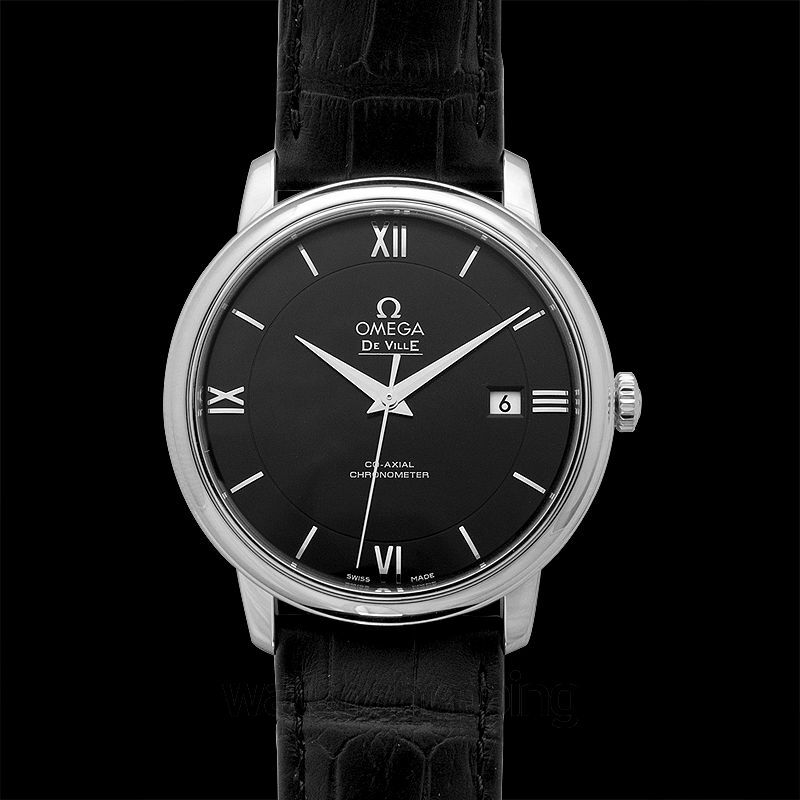 Loved and followed by a lot of watch collectors, the Omega De Ville Prestige Co-Axial in black has a fully classic and elegant design. 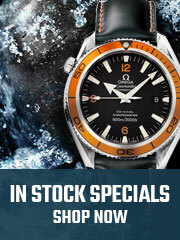 The watch has a black two-zone dial, which also features a date display. It has silver-tone hour markers and 3, 6, 9, and 12 in Roman numbers. The beautiful dial is covered with a scratch resistant sapphire crystal, which keeps the look of the watch fresh for a long time. 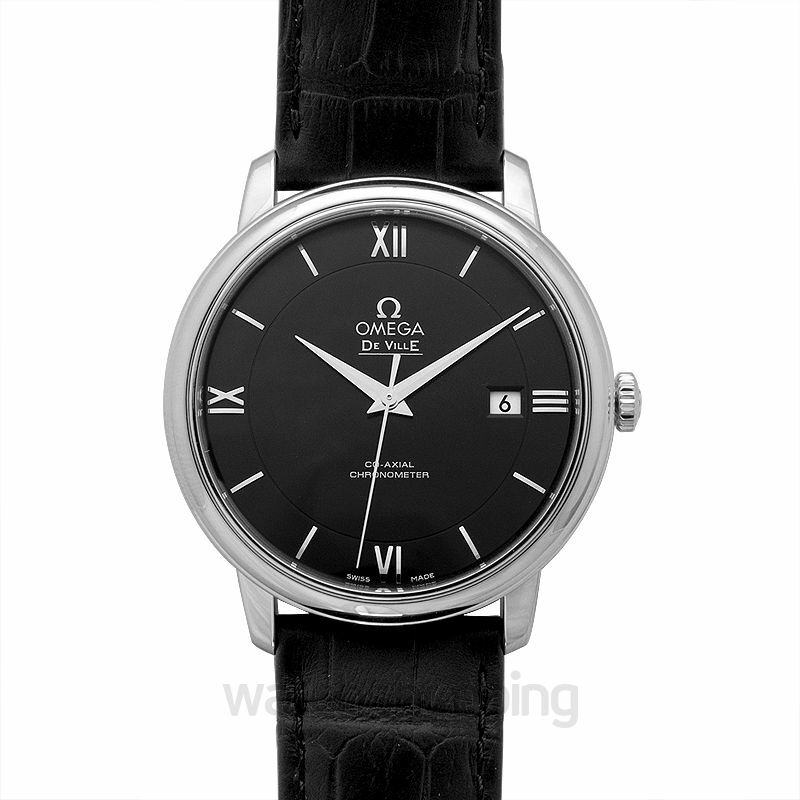 In addition to the sophisticated and luxurious black dial, the watch also has a black leather strap. 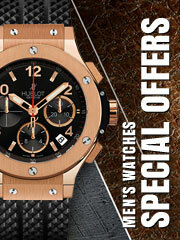 The strap allows the timepiece to be worn comfortably and conveniently, while also remaining as luxurious as ever. 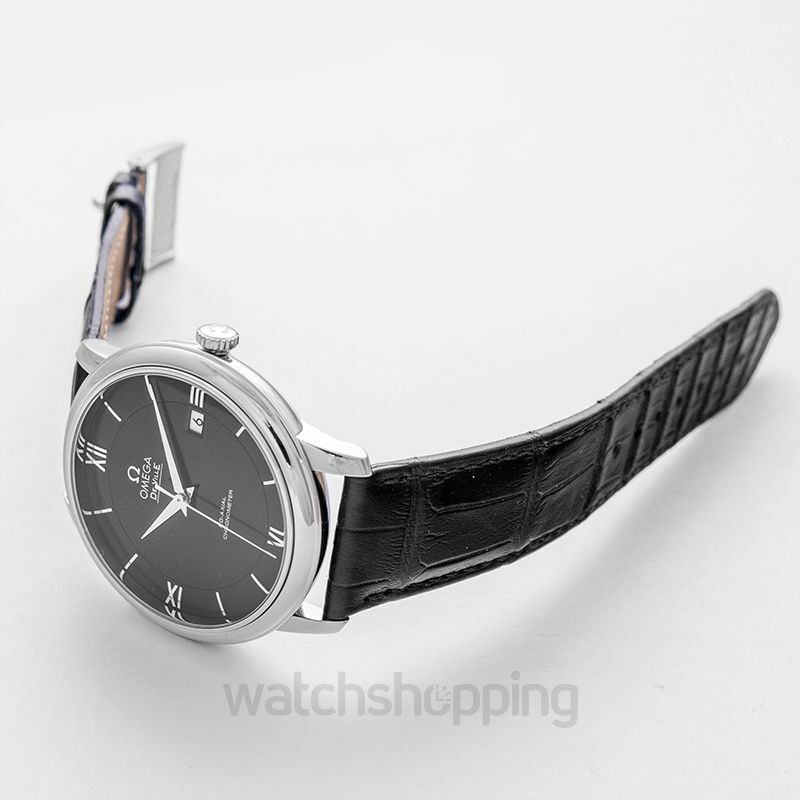 The 39.5 mm stainless case balances the touch of sophistication in the watch’s design.